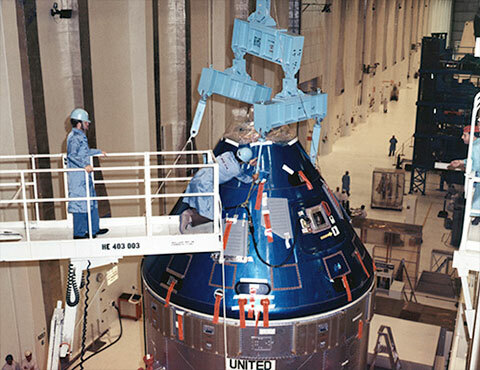 Half a century ago this week, Apollo CSM-106 was being moved from KSC's altitude chamber in the Manned Spacecraft Operations Building to integrated work stand #1 for mating to Spacecraft LM Adapter 13. With launch of Apollo 9 only four weeks away, preparations for Apollo 10 were well underway. Thanks for sharing another great image Ed, it is amazing how fast each mission was successively staged. That doesn't look like an OSHA approved move up there!